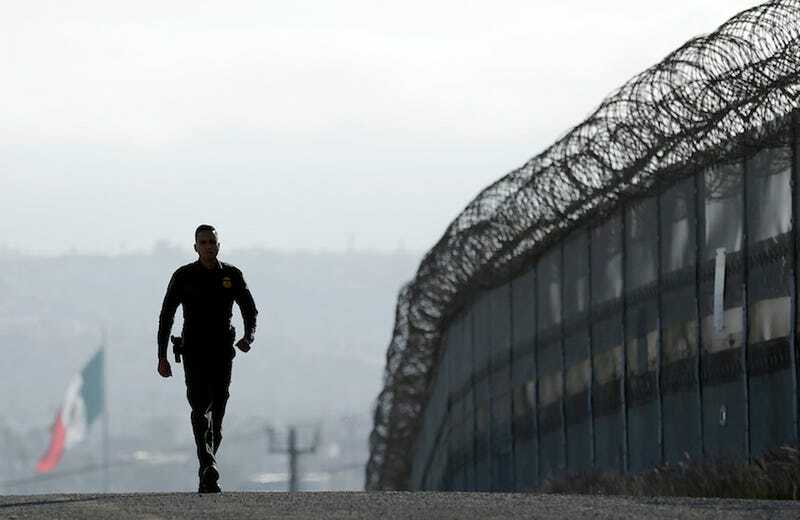 The budget that prevented a government shutdown allows for a $1.5 billion border security spending increase — money that Donald Trump thinks will be used to build his nightmarish wall, but will really be used to fix a tiny portion of it, according to a report from CNN. White House budget director Mick Mulvaney said Tuesday that several hundred million dollars of the $1.5 billion included in the budget will be used to begin construction on the wall—a statement that is in stark contrast to Democrats who claimed that the budget did not include funds for the wall. The budget as it stands was approved late Sunday night and was seen as a victory by the Democrats, mostly because it specifically did not include new money for the construction of a border wall and more importantly, took a government shutdown off the table. And, according to a report from CNN on Monday, they’re correct: the $1.5 billion for border security included in the budget allows for “technology and fixing existing infrastructure” but does not allow for any money to be spent on building the wall. Clearly enraged by the Democrats celebrating what they see as a victory, Trump likely urged Mulvaney to spin the situation in his favor. The funding isn’t necessarily going to cover a “new wall,” but it will allow the administration to gussy up whatever’s on the border right now. In recent days, Mulvaney had conceded the budget deal would not allow the White House to build a “bricks and mortar” wall on the border this year. “There are several hundreds of millions of dollars for us to replace cyclone fencing with 20-foot high steel wall,” Mulvaney told reporters Tuesday. Under an existing 2006 law, the administration will only be able to repair a 700 mile portion of the 2,000 mile border where fencing currently exists. There will be no construction of anything new. There will be no hulking edifice Trump promised on the campaign trail. Still, Trump sees this as a victory for himself, because he’s incapable of comprehending even the simplest of concepts and is nothing more than a sore loser. Please ignore how incomprehensible that is and understand this: the money is not being used to build a new wall. It is being used to sort of build a wall by repairing a small fraction of the existing wall, but more importantly, the money will be used mostly to bolster the enormous ego of the President of the United States.